Good workout today. I woke up this morning with a little soreness in my right hammy but nothing too bad. My first few sets of deads caused a little tightness in the hammy but after that things seemed to loosen up. 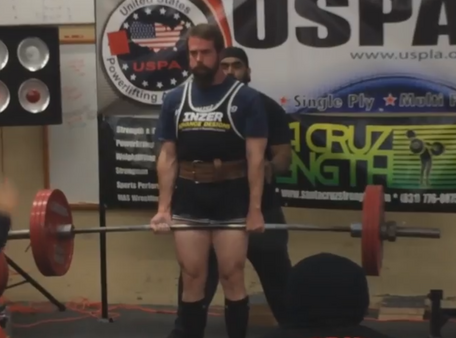 I was able to complete all of my doubles at 390 and then moved on to SSB squats. I did 6x6 at this with moderate weight and everything felt good. I ran out of time at that point and had to cut my workout off there.